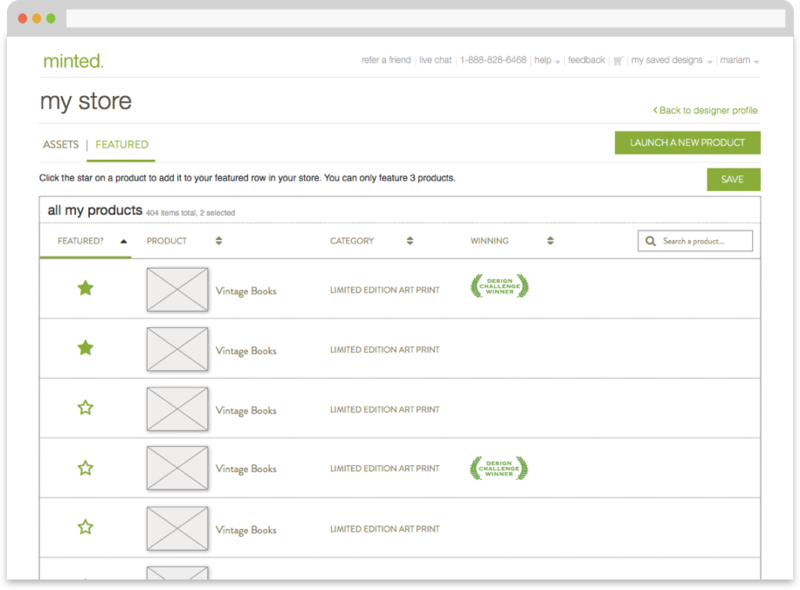 Minted is an online design marketplace that allows designers to create and sell their stationary, art prints, home products and other designs. Minted provides artists with their own storefront to display all their work. 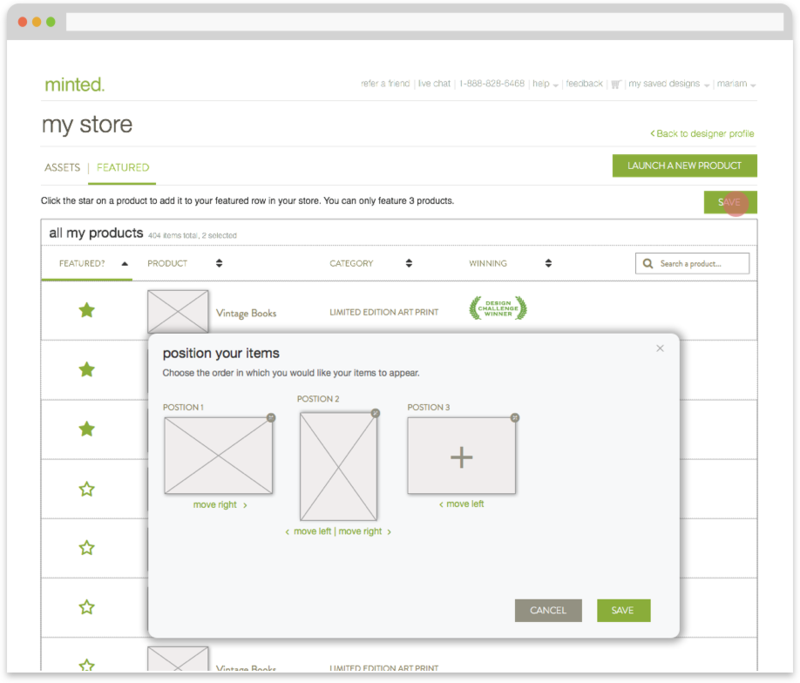 After a successful launch of designer storefronts, there was an increasing demand for customization of the way products appeared in the storefronts. These were received by e-mail through our customer success team. 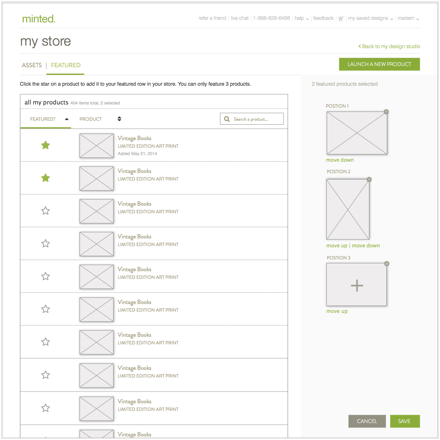 With this project, we set out to create the first layer in what will become a full-customization tool for designer storefronts. Goal: To make it easy for designers to find and showcase the pieces that highlight their art. Hiding the footer for undistracted browsing also hid the very important save button. This button was essential to completing the flow successfully. 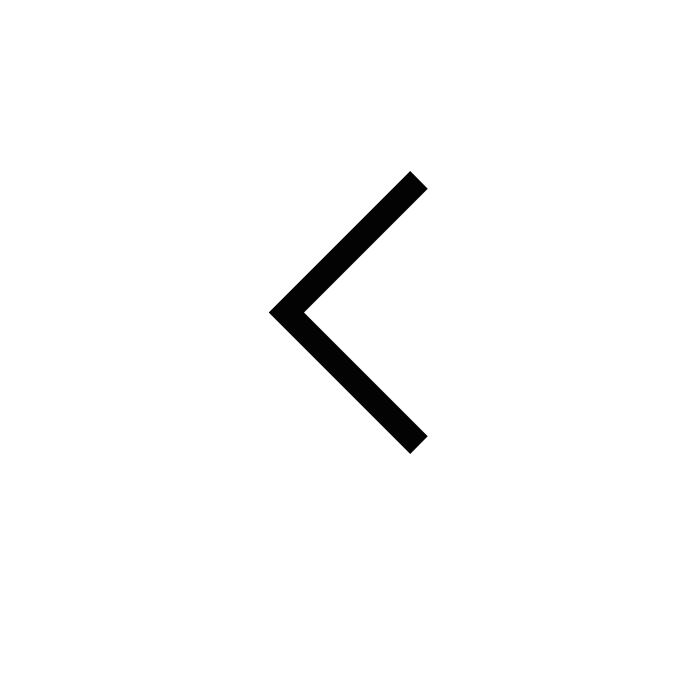 Placing the save in close proximity to the preview of items was also necessary for users to understand what was going on. 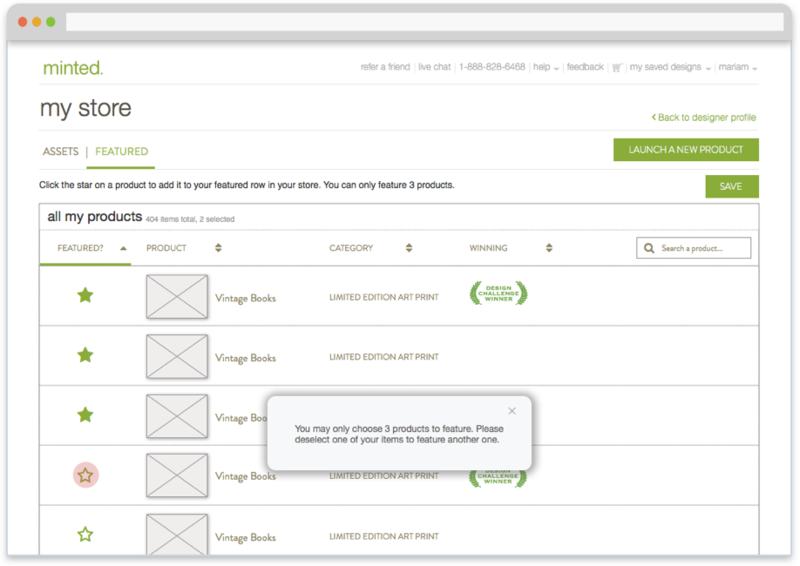 This preview was not representative of the way the preview would actually show up in a user's storefront.